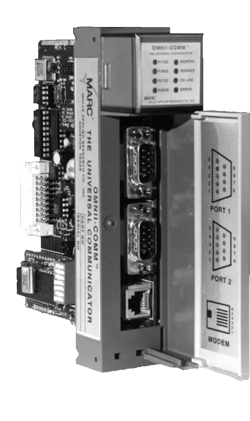 A DIN rail mounted modem that provides data communications with other Bell and CCITT compatible modems at speeds up to 1800 baud. 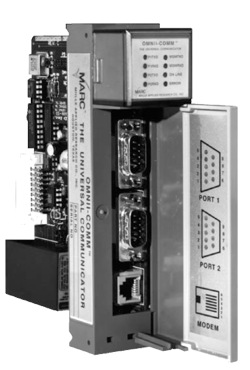 Its flexible and low power requirements and compact size make it ideal for providing long distance data communication capability for PLC's and other intelligent devices. 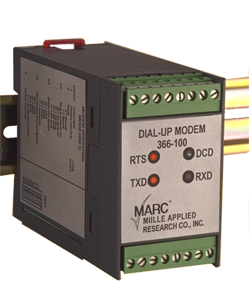 A DIN rail mounted modem that provides data communications with other Bell and CCITT compatible modems at speeds up to 33.6K baud. Its flexible and low power requirements and compact size make it ideal for providing long distance dial-up data communication capability. An FSK modem which plugs into one slot of an Allen-Bradley SLC 500 PLC and provides data communications with other Bell and CCITT compatible modems at speeds up to 1800 baud. 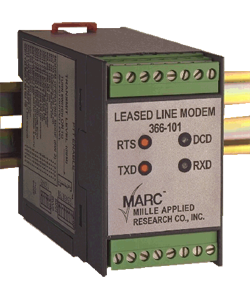 A dial-up modem which plugs into one slot of an Allen-Bradley SLC 500 PLC and provides data communications with other Bell and CCITT compatible modems at speeds up to 2400 baud.